Viber, the leading OTT communications app offering free messaging and HD-quality calls, is joining in the festivities of the Lunar New Year. A specially designed sticker pack is now available to download, featuring a brand new sticker character as we enter the Year of the Goat. Considered the most important celebration in the Chinese calendar because of its rich cultural heritage and history, the Lunar New Year is centuries old and celebrated by over a billion of people worldwide. The ‘Happy 羊 Year’ pack - Happy Goat Year - features 16 vibrant stickers which celebrate everything about Chinese New Year and the festive season. Each sticker reflects key celebrations and traditions observed by Chinese communities during the Spring Festival. This pack is for Chinese communities around the world as well as anyone (or Nationality - eg Thais - to be inserted per market) who wants to wish their (Chinese - to be inserted per market) friends a marvelous new year. From special greetings and hong bao giving (and receiving!) to sharing messages of prosperity, there is something for everyone – the perfect way to spread the Lunar New Year vibes. Viber provides a new way to enjoy the celebrations with loved ones far and near. The Chinese New Year pack offers greetings in multiple languages including Mandarin, Cantonese and English. The red and gold pack has plenty of stickers embodying some of the key customs. Send greetings with red lanterns, fireworks and dragon dances to ward off evil at the start of the Lunar New Year. Wish prosperity and abundance by sharing gold, red envelopes and money trees with your loved ones. Finally, as the family gathers for New Year’s Eve dinner, why not send stickers to tell absent friends that you miss them – choose from the famous new year cake, oranges for prosperity, or dumplings representing the full moon and symbolizing the family unit and perfection. 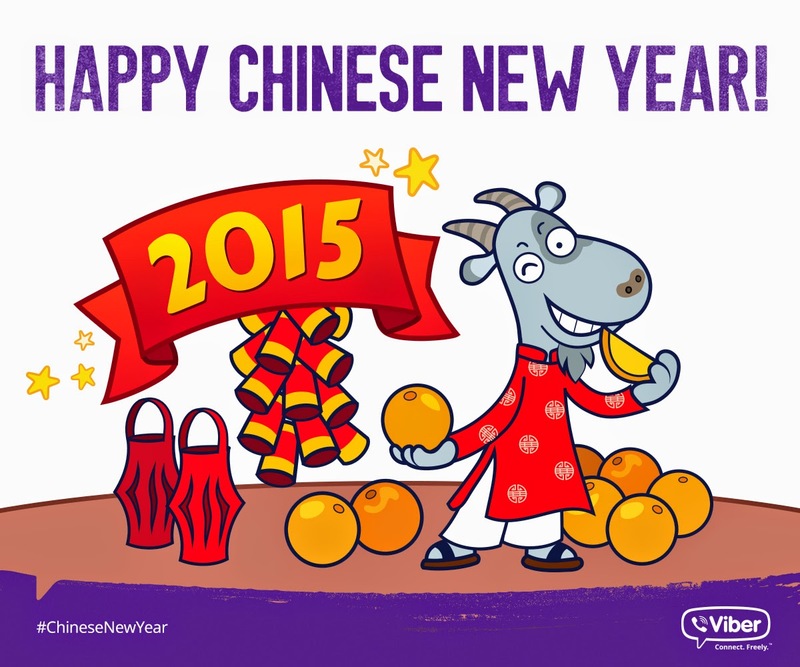 The Chinese New Year sticker pack is now available to download from the Viber sticker market for free. For more updates on Viber, visit www.facebook.com/viberph, www.twitter.com/viberph, and www.instagram.com/viberph. Viber is a pioneering mobile messaging, voice and video service. Viber lets everyone in the world connect. Freely. Users can send free text messages, fun stickers, photos, videos and doodles, share locations anywhere in the world, make free HD-quality calls and communicate with Push-To-Talk. With Viber Out, users can make low-cost calls to any phone number around the world. Viber is available for iPhone®, Android™ phones and tablets, Windows Phone, BlackBerry®, Blackberry® 10, Windows®, Windows 8®, Mac, Linux, Symbian, Nokia S40 and Bada devices over 3G/4G or WiFi connections. With over 516 million unique users in 193 countries, Viber is constantly innovating by introducing new platforms and adding fun new features. Viber is a Rakuten Group company.